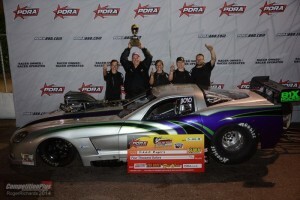 Eddie Rogers took the win at the PDRA Memphis event in the Precision Turbo Pro Boost class. The man from Arkansas qualified in the number one spot, and was consistent all day. The Mojo crew had to work hard—overcoming a few issues, but on Saturday night, it was Eddie and his team standing in the Winners Circle hoisting the trophy. 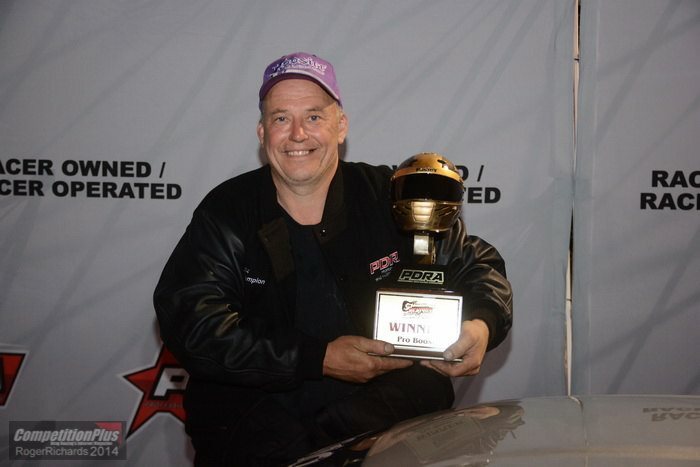 Hammer Superchargers sends out congratulations to all of them, and once again says thank you for proving you should never go to the track without a Hammer in your trailer.